What?… Did you think I would forget the sole reason men’s grooming exists? Of course not! Over 85% of men shave, and over 85% of the questions I get begin or end with a shaving question. So, it would only be right to search far and wide for a shaving cream that will make your shave “that much better”. And I believe I found it! 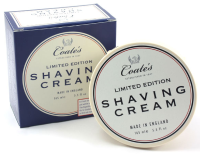 Coate’s 1847 “Limited Edition” Shaving Cream provides an unbelievable lather, with a very light but refreshing tea tree fragrance. It’s also paraben free (See: Allergic reactions), which makes me appreciate the extra effort Coate’s put into considering the sensitive skin shavers! 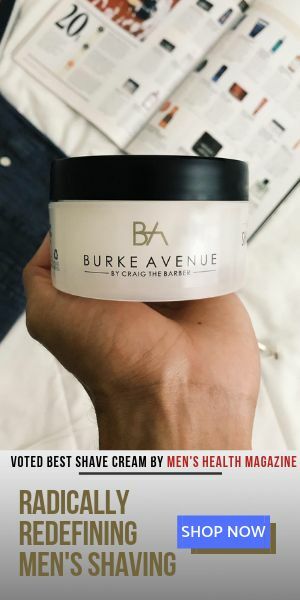 I’ve personally added Coate’s to my very limited collection of shaving creams at the barbershop, and I firmly believe that it will win you over as well!